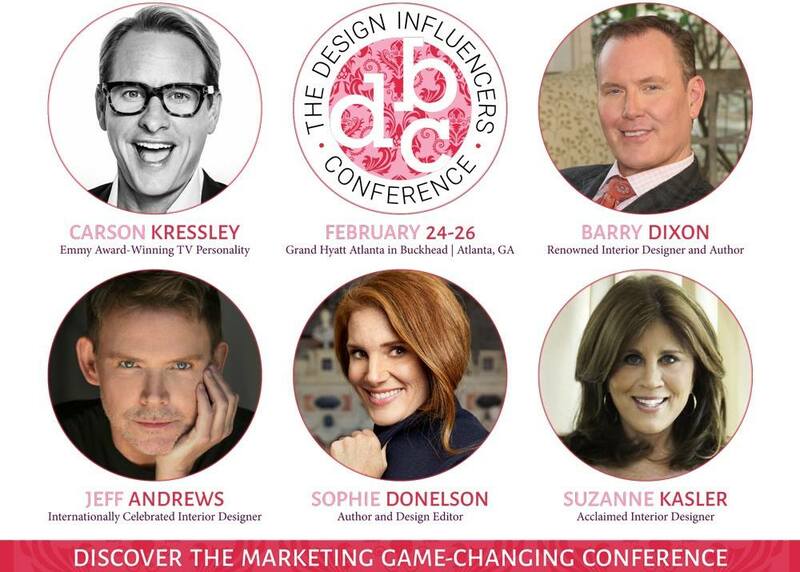 I am revving up for the Design Influencers Conference in Atlanta and it’s not too late to register for this game-changing event Feb 24 – 26th. I’ll be attending, presenting, mentoring and would love to connect with you IRL as we share this extraordinary on-line journey. Why am I attending? I started blogging 5 years ago which has been an incredibly valuable tool establishing my Trim Queen brand and my expertise. Blogging has opened doors to many extraordinary growth opportunities for me and my business, things I never dreamed of five years ago! 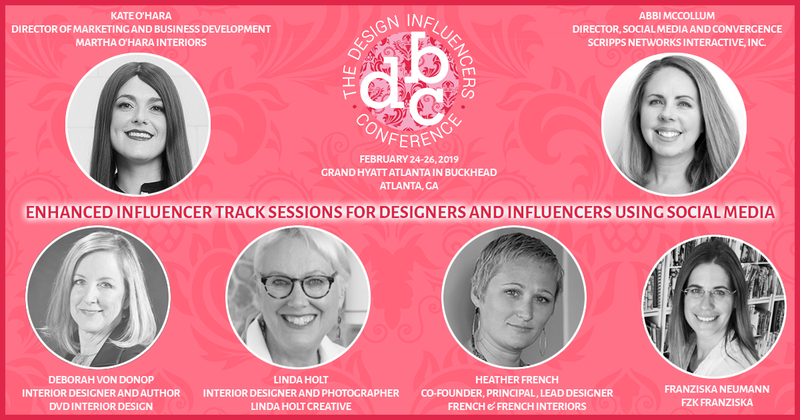 As social media has evolved, blogging has become only one facet of many online connections, and the Design Bloggers Conference has rebranded to the Design Influencers Conference acknowledging this change in the online marketing landscape. 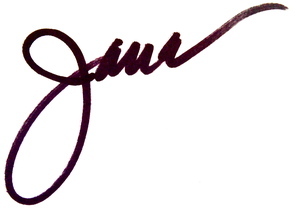 This year the conference has added an important Brand Track, co-produced with High Point Market and Esteem Media, extending attendee invitations to: Manufacturers, Single or multiple showroom operators, Suppliers to the luxury home design industry, Brands inside the luxury home design community, Design Centers, Traditional media and PR firms. The content in the Brand Track will explore the resources needed to succeed in this new mainstream marketing strategy that is driving sales and revenue while creating awareness and building trust for savvy home furnishings marketers. As an attendee, you will be able to access events from both Influencer and Brand tracks, you can customize your schedule per your interest, see the full agenda here >> AGENDA, and I’m on it too! 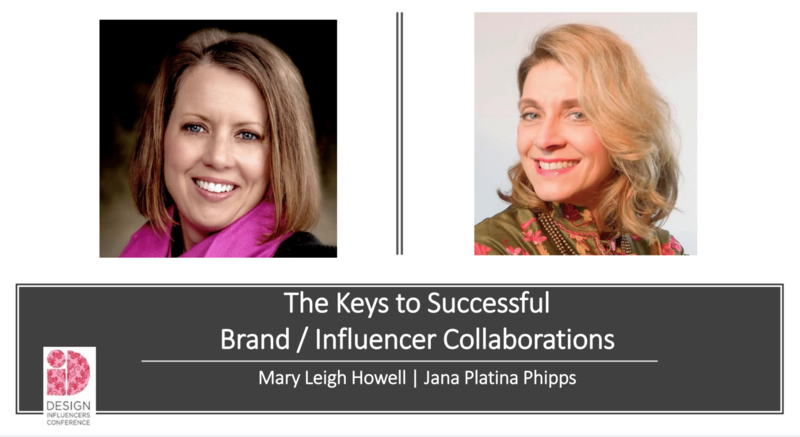 This year, I’m super excited to be invited to share my experience of collaborating with brands, co-presenting a seminar with PR and communications expert, my WithIt pal, Mary Leigh Howell. We’ve developed this presentation in two parts to illustrate a “Collaboration How-To” from both sides of the influencer / brand relationship. Join us for some fast-paced learning! Last year we had some cool mentoring meet-ups. The learning goes both ways. 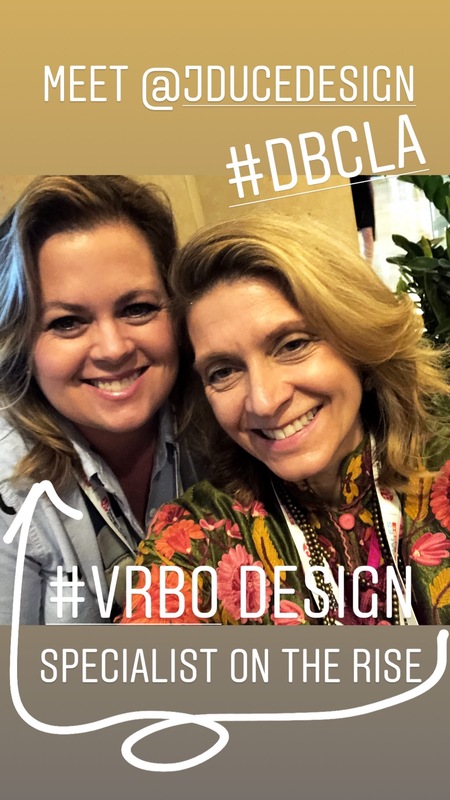 Join me, Carla Aston of Designed by Carla Aston and Deborah von Donop of dvd Interior Design early Monday morning to tap our collective brains regarding your website, blog, social channels, strategies, and techniques. We’ll share insights that are tailored specifically to you and what you are wanting to do online to market yourself or your company. 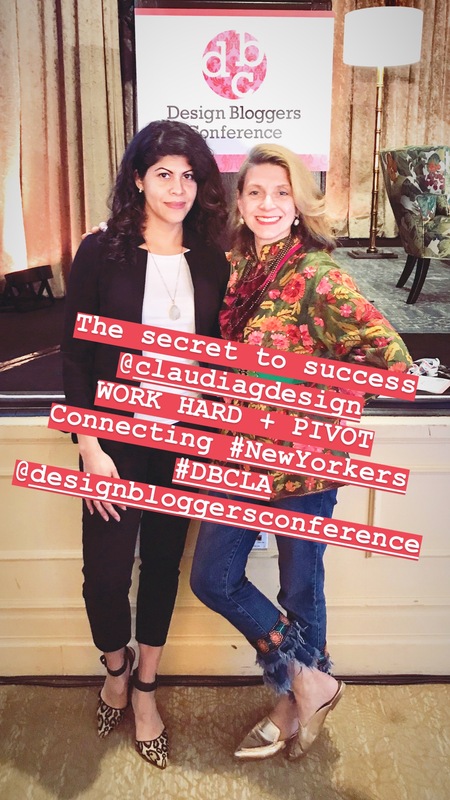 Each of us, Carla & Deborah and I, have had a unique online route to our successes (with lots of challenges) and can share actionable advice that will elevate your online presence to reach your business goals. This will be an open round table session, so be prepared to share your objectives and what you are currently doing online to help you achieve them. NO JUDGEMENT here, just get expert advice to take your online presence to the next level. So are you psyched yet? Personally, I cannot wait to hear these expert presentations, click for the full agenda. And meet these celebrity headliners. If you are not sure about attending, perhaps Deborah Von Donop and I can convince you. 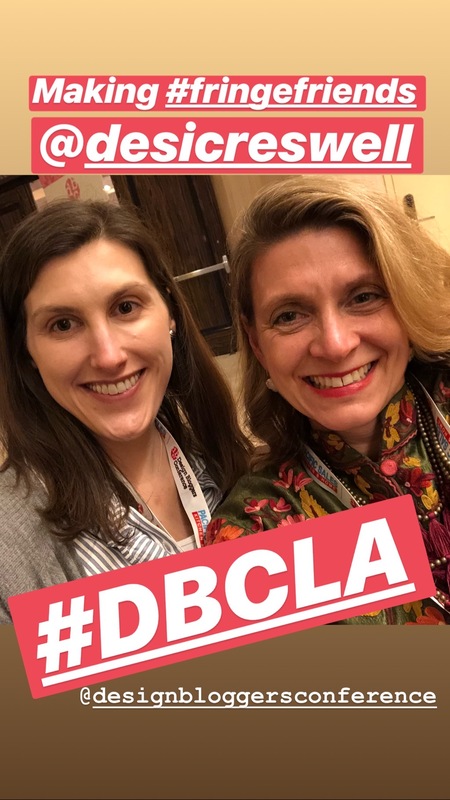 We chatted on her YouTube Channel recently about why we are stepping away from our day-to-day to attend this conference. Last year there was so much content from seminars, workshops, keynotes and networking that I left with an arsenal of intel that I have slowly been capitalizing on. It was a game-changer. If you are on the fence or have any questions at all, contact me. I hope to see you in Atlanta, with FAB FRINGE on!